Mobile Live Streaming Solutions for Teams — Sports Channel Media, Inc.
High School Sports Teams - Live stream home and away games so working parents can watch the action as it happens. Meets CIF and other states streaming requirements through school website. Travel/Club Teams - Live stream every game or match and allow players, families and fans to have a convenient place to replay, save and share highlight clips with friends. Tournament/Event Directors - Handy and mobile so you can setup each day at different tournament venues and cost effective so you can have several kits on hand to cover multiple fields simultaneously. Leagues/Facilities - Great for locations that don’t have a permanent Internet service or fields with no power near the backstop. You can still stream your games with our this mobile system. Parents - Want to focus the action on your player and create highlight clip albums to help promote and expose your player to scouts, etc? Give it a try. Scouts - Can’t get out to see everyone on your list? 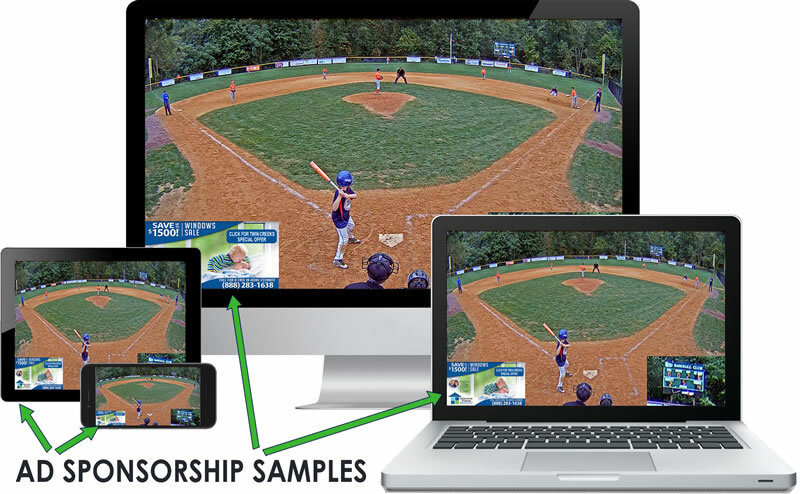 Have the remote players use YourGameCam to capture game or workout footage for you to review. Others - Anyone can benefit from our power live streaming platform and the ability to stream through a mobile device or the Yi4K Action Camera. READY TO START LIVE STREAMING FROM ANYWHERE? 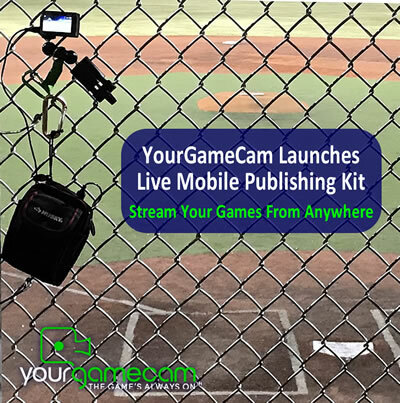 Visit YourGameCam.com and click on Mobile Publishing to sign-up for an account (free trial currently available) or Contact us to request an account today. We support your iPhone, Android or Yi4K Action Camera for Mobile Live Streaming. Check out our mobile accessories page for handy fence mounts, etc. for the highest quality streaming events. Viewers can watch at YourGameCam.com and/or you can embed on your website. See how simple and clean this setup is (shown with suggested fence mounts and safety clip). Start streaming today with your mobile device, then get the affordable Yi4K Action Camera and mounts to free up your phone during games.